Easter is right around the corner and I am just now starting to find goodies for my kiddos Easter baskets. I have shared my Easter Basket Ideas for the Kiddos' and of course I had to include on of my favorite companies: ISeeMe! and all of their personalized storybooks and more! I have worked with ISeeMe! in the past and absolutely love their personalized children's books. I decided to get the Egg-Cellent All-in-One Gift Set for my daughter's basket. 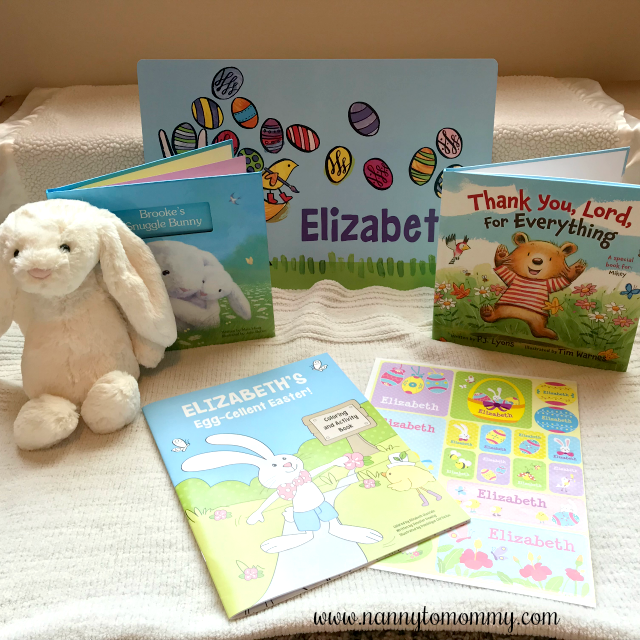 This hand-picked coordinated gift set includes: an adorable personalized Easter coloring and activity book, matching page of 18 stickers and a colorful placemat made special with your child's name. 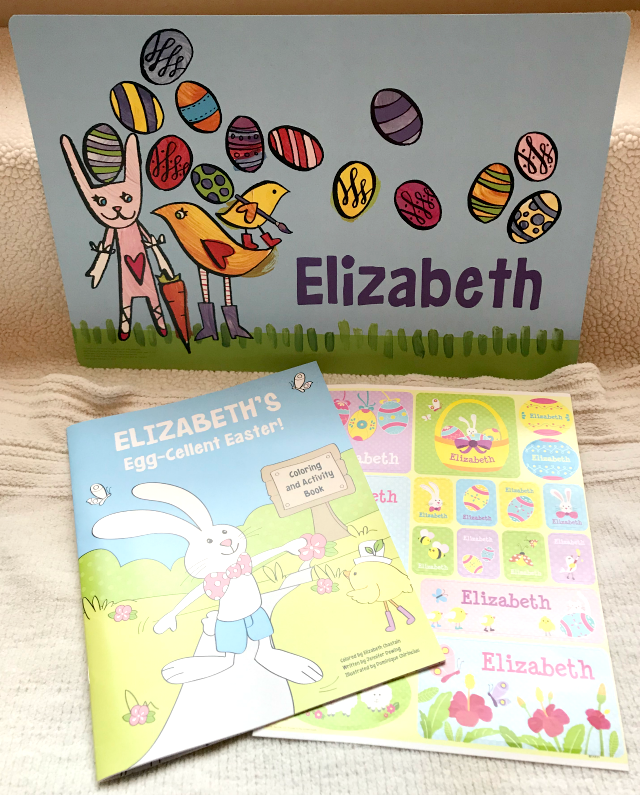 Inside the book, your child will complete fun and educational Easter activities such as coloring in the eggs, helping the Easter bunny find his way down the bunny trail maze, finding eggs in the hidden picture, and more! Your child's name will be personalized on the cover of the coloring book and throughout the activity pages and illustrations. Together with the coordinating placemat and stickers, this gift set will be a wonderful surprise at Easter...or anytime! My daughter has many books from ISeeMe! and absolutely loves seeing her name whenever it pops up. Her favorite is her Princess Personalized Book. I also decided to get the My Snuggle Bunny Gift Set for my niece's upcoming birthday. She is kiddo number three and I think it's fun to give her personalized items since she gets so many hand-me-downs. In this heartwarming personalized storybook, your child will hear all the ways that Snuggle Bunny loves him or her throughout the day. From a hug in the morning to snuggle time in the evening, the Snuggle Bunny counts ten ways that it expresses affection for your child. Written by award-winning author Maia Haag and illustrated by John Butler, this 8.5”x 8.5” hardcover book with 20 pages is sure to become a classic bedtime reading ritual. The companion plush Snuggle Bunny by Jellycat is 12” with floppy ears and super-soft fur. I also received the Thank You, Lord, For Everything Personalized Book for my son. This is a new title that makes a great Easter basket addition. In this personalized picture book, P.J. Lyons’ engaging text and Tim Warnes’ playful illustrations remind readers about the love, beauty, and friendship all around us. Create a keepsake gift for Easter, a baby shower, or a baptism by personalizing the book with the child’s first name, the sender’s names, and a photo of the child with a special message for the dedication page. The personalized edition of Thank You, Lord, For Everything published by Zonderkidz is a perfect way to start your child’s day and a soothing read at bedtime. 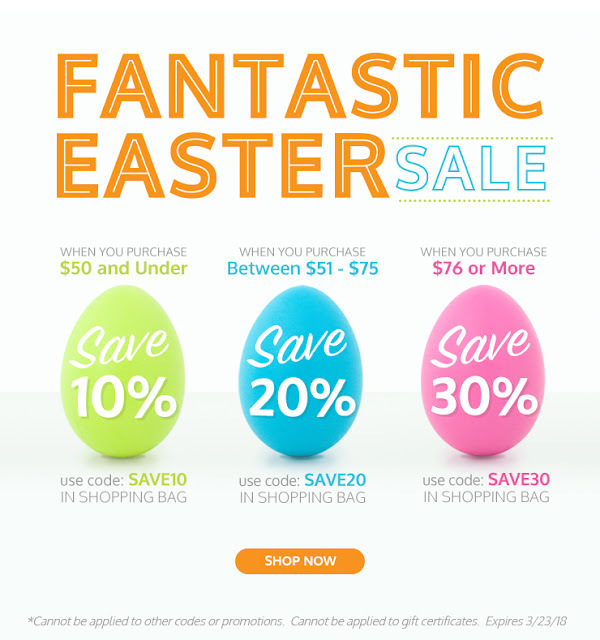 Through March 26th, customers who spend under $50 receive 10% off, $51-75 receive 20% off, and $76 and up receive 30% off! ISeeMe has tons of other products to offer as well; Lunchboxes, Puzzles, Coloring Books, Placemats, Stickers, and Growth Charts. Something for everyone and every occasion! 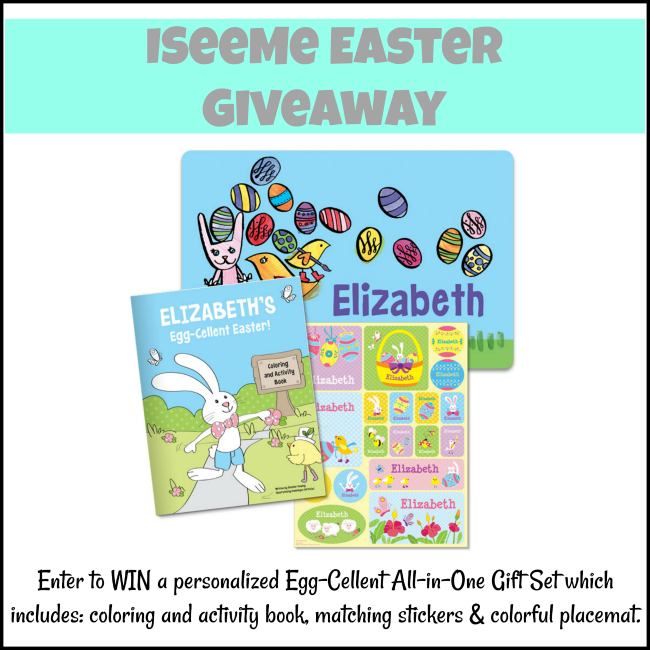 One lucky Nanny to Mommy reader will win Egg-Cellent All-in-One Gift Set from I See Me! Entry is simple, just follow the prompts on the Rafflecopter below. Open US only, must be 18+ to enter. Winner chosen via Random.org through Rafflecopter. All winning entries are verified. Please follow us on Facebook to stay up to date with our current giveaways. Good luck! Welcome to the "March into Madness" Hop. 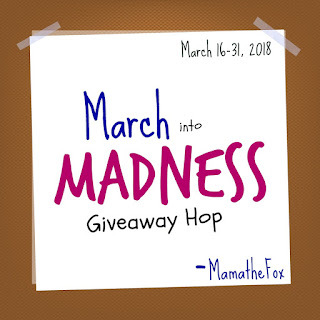 This hop is hosted by MamatheFox and Rita Reviews. Come join the fun and enter to win a family friendly prize! There is no limit to how many prizes you can win so visit each link for more chances! Disclosure: I received complimentary products to provide this post. All opinions are my own. Nanny to Mommy and participating bloggers are not responsible for sponsors who do not fulfill prizes. 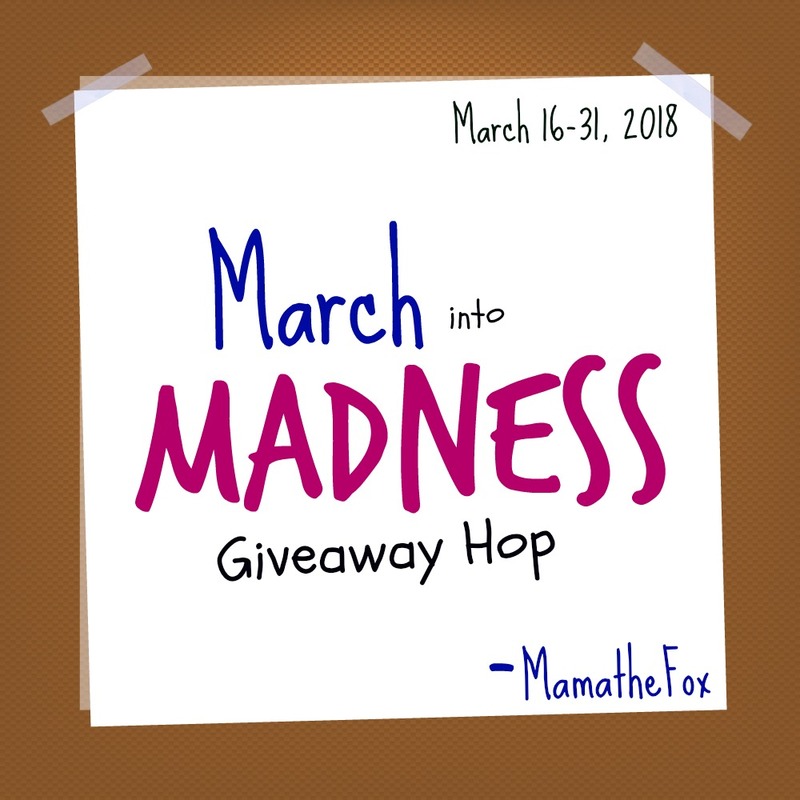 This contest will run through March 31, 2018 at 11:59 EST. No purchase necessary. US entries only. Must be 18 years or older to win. This promotion is in no way sponsored, endorsed, or administered by or associated with, Facebook. You understand that you are providing your information to Nanny to Mommy and not to Facebook. Please note that Nanny to Mommy and other participating bloggers are not responsible for sponsors that do not fulfill their prizes. We have represented each sponsor with the expectation they will fulfill their prize in a timely manner. We will contact the sponsor regarding your prize(s). The sponsors, in most cases, are shipping their items to you directly. I will make every effort to assist you obtaining your prize. If there is an issue with a sponsor, please notify the blog you won a prize from within 4-6 weeks for assistance, after that we may be unable to assist you. My granddaughter loves these books! We have a lot of fun with them. These are so cute. I would love to win this for my daughter. She would love their bedtime collection. I would love this for my grandson! We love to read together! I would give this to my middle granddaughter. I would love it for my grandson. I also like the Radio Flyer Scooter book. I want this for my granddaughter. I like the big sister book. I'd love to win it for my daughter. I also love the The Super, Incredible Big Sister set. I love to win for my little cousin.I like God loves me book. I'd love it for my kids. I also like the I See Me book for twins. I would love to win for my kids. They would love a surprise on easter! I would love to win this for my nephew. I think he would be thrilled with a personalized book. I want to win this because this Easter book looks wonderful. Their Thank You Lord For Everything book looks super cute too. This is so fun! I'd love to get this for my daughter. Of course, I'd have to get one for my son, too! They would both be so impressed with a personalized book. I would like to win this for my daughter as she is learning to write her name and she would get a kick out of seeing it on a book. I also like the God Loves You! Personalized Book.